Boha Hummingbird – Short version from Ocula on Vimeo. The Hummingbird Corkscrew is the first project from boha’s Helpful Friends Collection. Made from chrome plated high quality zinc alloy, the form captures the hummingbird stealing wine from the bottle like nectar from a flower. The Hummingbird Corkscrew is now available to buy online!!! 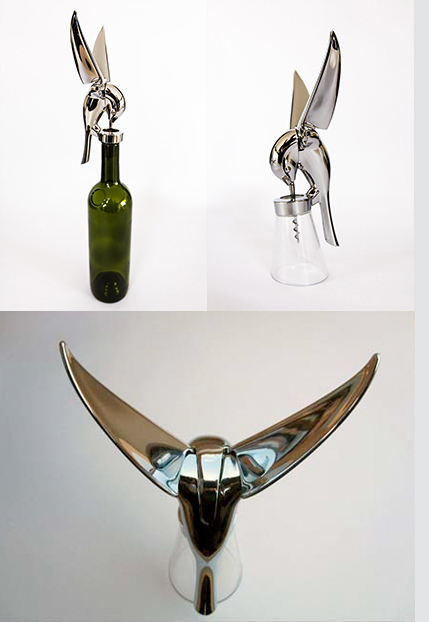 The Hummingbird Corkscrew was created and developed by Boha and is born out of our obsessive attention to detail that transforms a good idea into a great product. Whether a gift for friend or family member or an elegant feature for your own home or a fantastic addition to a repertoire of bar and wine tools for your waiters or staff members to use, the Hummingbird Corkscrew is without a doubt something genuinely original and unique.